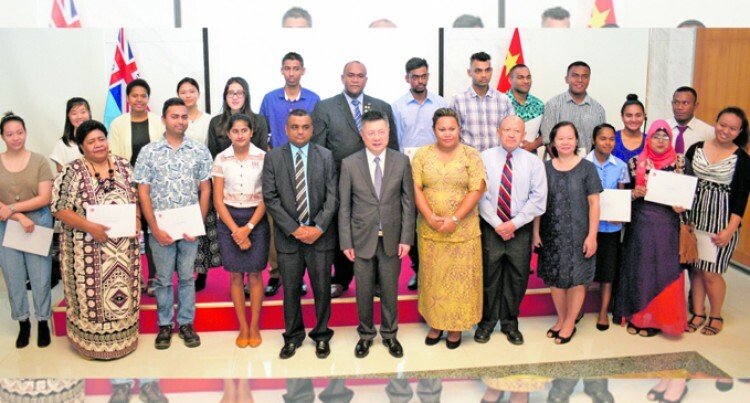 Amit Kumar, 31, who is one of the re­cipients for a scholarship to study in China, hopes to return to Fiji and contribute to our nation’s economy. Mr Kumar will be flying to Beijing at the end of this month to begin his studies. He has been awarded a full scholarship to do his PhD in Engineering at Beijing Insti­tute of Technology. “I am really thankful to the Chinese gov­ernment for giving me the opportunity to study abroad. This is the first time I am re­ceiving a scholarship,” Mr Kumar said. He described the scholarship as a blessing. “My father is retired and my mother is a housewife. Receiving this scholarship is a great help for my family,” he said. “My course will end in 2022. Studying abroad will not be easy especially when lan­guage is a barrier, but I am ready for all the challenges ahead of me. I will miss my fam­ily because China is very far, but I know I am doing it for them and myself. Out of the 19 people who received their scholarships to study in China, Mr Kumar and one other recipient are doing their PhD. The other scholarships include six Masters scholarships and 11 degree scholarships.